Human—Cortex, focused on attaching to "us"
Whether a person is a psychopathic criminal or a saint; these three systems—avoiding, approaching, attaching— are always at work. The key is whether they're at work in a good way—one that promotes happiness and benefit for yourself and others—or a bad one that leads to suffering and harm. What's happening in your brain when these systems are functioning in a good way—when you're feeling fine, or even "in the zone," self-actualizing, or spiritually blossoming? The answer is important, because then you can deliberately stimulate and thus gradually strengthen the neural networks that underpin these good states of mind. When you are not rattled by life—in other words, when you're feeling safe, fulfilled, and loved—your brain's avoiding system is calm (in a word), the approaching system is contented, and the attaching system is caring. This is the responsive mode of the brain, which delights, soothes, and refuels you. It's your home base, the resting state of your brain, which is real good news. Now here's the bad news: we also evolved hair-trigger mechanisms that activate the fight-or-flight reactive mode of the brain and drive us from home when we're stressed, whether from the snarl of a leopard a million years ago or a frown across a dinner table today. When you feel even subtly threatened, the avoiding system shifts gears into hatred (to use a strong, traditional word that encompasses the full range of fear and anger); when you're at all frustrated or dissatisfied, the approaching system tips into greed (ranging from longing to intense obsession or addiction); and when you feel even mildly rejected or devalued, the attaching system moves into heartache (from soft hurt to awful feelings of abandonment, worthlessness, or loneliness). The reactive mode was a great way to keep our ancestors alive in the wild, and it's useful today in urgent situations. But it's lousy for long-term health and happiness. Each time your brain lights up its reactive mode—each time you feel pressured, worried, irritated, disappointed, let down, left out, or blue—this triggers the same stress machinery that evolved to escape charging lions or lethal aggression from other primates or humans. Most reactive mode activations—pushing you off home , base—are mild to moderate. But they're frequent and relentless in the lives of most people, leading to a kind of inner homelessness that can become the new normal. Besides feeling crummy, this is bad for your physical health, since chronic stress leads to a weakened immune system, disturbed digestion, dysregulated hormones, and increased risk of heart attack or stroke. Stress wears on your mental health as well, bringing: pessimism, blue mood, and depression; heightened anxiety and irritability; "learned helplessness"; hunkering down, playing it safe, dreaming smaller dreams; clutching tighter to "us" and fearing and even exploiting or attacking "them." These Practices of the Week include many practices for calm, contentment, and caring—and there are lots of other good methods in the writings and teachings of many people. So I'm not going to focus here on any particular way to activate the responsive mode of your brain. The key point is to make it a priority to feel good, to look for everyday opportunities for peacefulness, happiness, and love, and to take all the little moments you can to marinate in well-being. Because here's more good news: Each time you rest in your brain's responsive mode, it gets easier to come home to it again. That's because "neurons that fire together, wire together" stimulating the neural substrates of calm, contentment, and caring strengthens them. This also makes it harder to be driven from home; it's like lengthening the keel of your mental sailboat so that no matter how hard the winds of life blow, you stay upright, not capsized, and keep on heading toward the lighthouse of your dreams. What's wonderful about this is that the ends of the journey of life—being peaceful, happy, and loved/loving— become the means of getting there. In effect—in a traditional phrase—you are taking the fruit as the path. Instead of having to scratch and claw your way up the mountain top, you come home to the meadow that is the natural state of your brain—nourishing, expanding, and beautifying it every minute you spend there. For as they say in Tibet, "if you take care of the minutes, the years will take care of themselves." Describe a time in the recent past when you were reactive. What would you have done differently if you had been more responsive and less reactive? Describe a time in the recent past when you were responsive. What were the reactive impulses that you set aside in order to be responsive? "Imperfections" are all around, and they include: messes, dirty clothes, weeds, snarled traffic, rain during a picnic, wine stains on carpet; injury, illness, disability, pain; problems, issues, obstructions, losses—including with others; objects that are chipped, frayed, broken; mistakes, errors; confusion, lack of clarity; war, famine, poverty, oppression, injustice. In a nutshell, an imperfection—as I mean it here—is a departure from a reasonable ideal or standard (e.g., dog poop on your shoe is not ideal, nor is the hunger that afflicts one in six people worldwide). These departures-from-ideal have costs, and it's reasonable to do what you can about them. But we usually don't leave it at that: we get anxious—uneasy, nervous, troubled, stressed—about imperfection itself, rather than recognizing it as a normal, unavoidable, and widespread aspect of life. 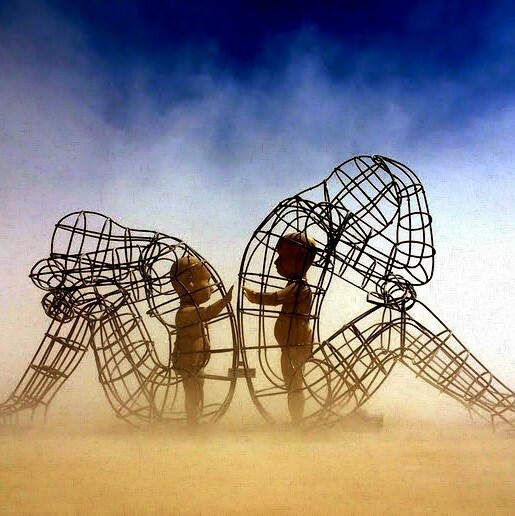 Instead of dealing with conditions as they are—weeds, injuries, conflicts with others—and just handling them, we get caught up in worrying about what they mean, grumbling, feeling deflated, becoming opinionated and judgmental, blaming ourselves and others, and feeling woe-is-me and yet again disappointed/mistreated/wronged. These reactions to imperfection are major "second darts" (as described in "Don't Throw the Second Dart"). They make you feel a lot worse than you need to, create issues with others, and make it harder to take skillful action. Here's the alternative: let the broken cup be a broken cup without adding judgment, resistance, blaming, or worry to it. Make appropriate efforts to improve things, but realize the impossibility of perfecting anything; even the most sophisticated technology cannot produce a perfectly flat table. You just can't perfect your personality, thoughts, or behavior; trying to do so is like trying to polish Jell-O. Nor can you perfect others or the world. Open to this fact: you cannot perfectly protect your loved ones, or eliminate all of your own health risks, or prevent people from doing stupid things. At first this opening could feel poignant or sad, but then you'll likely feel a breath of fresh air, a freedom, and a surge of energy to do the things you can now that you're not undermined by the hopelessness of making anything perfect. We need standards and ideals—from the strike zone in baseball to the aspirations in the world's sacred teachings—but we also need to hold these lightly. Otherwise, they'll take on a life of their own in your mind, like petty tyrants barking orders: "You must do this, it's bad to do that." Watch out for righteousness, for self-important moralizing insistence on your own view of how you, others, and the world should operate. 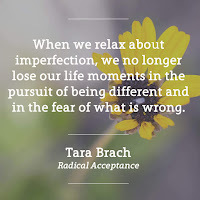 Know if you have tendencies toward perfectionism; I do, and I've got to be careful about them or I become a difficult person to live with or work for, as well as unhappy inside. Further, many things transcend fixed standards. For example, could there ever be such a thing as a perfect rose or a perfect child? 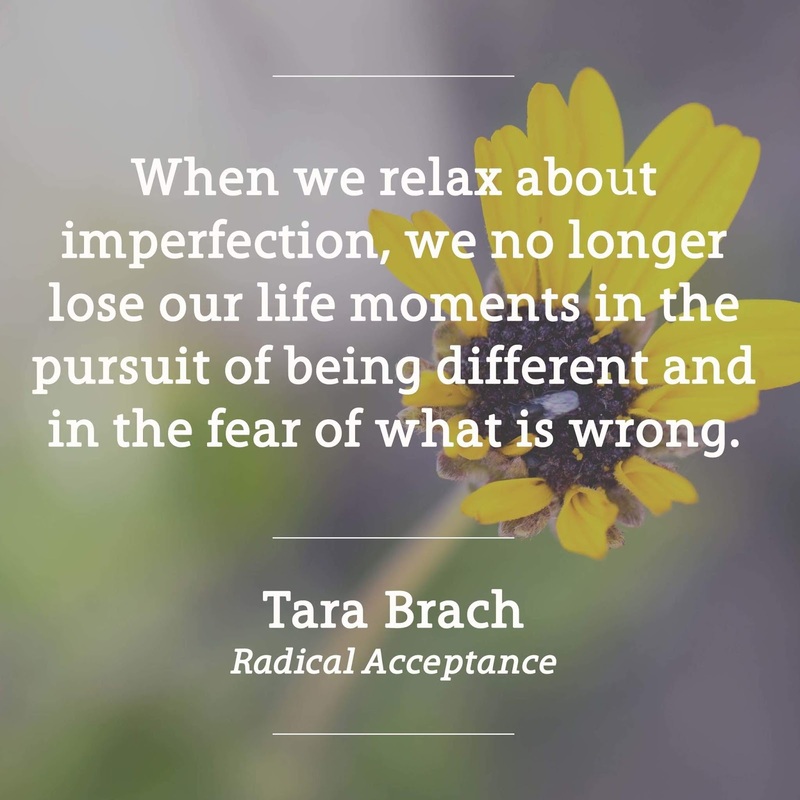 In these cases, anxiety about imperfection is absurd—which applies to trying to perfect your body, career, relationships, family, business, or spiritual practice. Nurture these, help them blossom, but give up on perfecting them. Most fundamentally, all conditions, no matter how imperfect, are perfectly what they are: the bed is perfectly unmade, the milk is perfectly spilt. I don't mean morally or pragmatically "perfect"—as if it would be just perfect to tear a shirt or start a war—but that all conditions are utterly, thoroughly themselves. In this sense, whatever is the case—from dirty diapers and everyday hassles to cancer and plane crashes—is the result in this instant of the perfect unfolding of the entire universe. Try to see that unfolding as a vast, objective process in which our personal wishes are as consequential for it as a patch of foam is for the Pacific Ocean. In this light, perfection, and imperfection vanish as meaningful distinctions. There are only things in their own right, in and of themselves, without our labels of good or bad, beautiful or ugly, perfect or not. Then there is no anxiety about imperfection; there is only simplicity, directness, engagement—and peace. 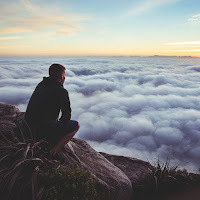 "Instead of dealing with conditions as they are—weeds, injuries, conflicts with others—and just handling them, we get caught up in worrying about what they mean, grumbling, feeling deflated, becoming opinionated and judgmental, blaming ourselves and others, and feeling woe-is-me and yet again disappointed/mistreated/wronged." When was the last time you did this? Write about what it would be like for you instead to accept that condition with equanimity. Children are often told, “Say you’re sorry.” The offended person is expected to accept the apology and “forgive.” Sometimes the words are meant sincerely and felt by the other person; sometimes they are not, but there is still the expectation to forget the offense. However, true forgiveness is an internal process that relates more to a shift in perspective than a relationship outcome. If we can help children accept human fallibility and process the hurt they have felt or witnessed in another person, then they develop a deeper emotional intelligence and life-changing tool. The lesson on forgiveness in the Unitarian Universalist Religious Education curriculum Moral Tales, which the CUC fourth-grade class is using this year, begins by asking the children to think about acts of goodness that they and others have done. The children are then asked to name the virtues behind the acts, e.g., generosity, courage, honesty. Before they think about what it means to forgive themselves and others for hurts that have occurred, they need to be holding the sense of goodness that exists in all of us. In order to process hurts in a healthy way, we need to remember that goodness abounds and we hold virtues within us, despite our foibles. the act of forgiveness is one of the most important choices we can make. Forgiveness can help us keep our relationships with others. It can help us have hearts full of love rather than bitterness. Forgiveness means giving kindness, empathy, and love to another person, even if they have hurt us. When we are angry at ourselves and forgive ourselves, we are giving kindness, empathy, and love to ourselves. It is stressed to the children that this does not mean we forget the hurtful act or excuse it. The interaction may still affect the choices we make, e.g., not lending a personal possession to someone who has destroyed one, but we make efforts to let go of the resentment. freely made choice to give up revenge, resentment, or harsh judgments toward a person who caused a hurt, and to strive to respond with generosity, compassion, and kindness toward that person. It is a process that involves reducing negative responses and increasing positive responses toward the person who caused the hurt, across the realms of affect, cognition, and behavior. Importantly, forgiveness is not condoning, excusing, denying, minimizing, or forgetting the wrong. It can occur without reconciliation, which requires the participation of both parties, if the person who caused the hurt is absent, deceased, or remains unsafe. Forgiving is not forgetting, but it is changing our perspective toward the incident. The key is that forgiveness is an internal process that helps us shift how we feel and determines our relationship to ourselves, as well as others. It may or may not change the interaction with the person who caused the hurt or who we hurt, but it changes the way we move forward on our life paths. The studies have shown that this choice of forgiveness directly affects health outcomes and mortality rates. In teaching our children what it means to forgive, we are empowering them with a tool that will positively affect their health and their ability to relate to the people around them. In helping children accept our human imperfections, we enable them to give understanding, empathy, and kindness to themselves and others. They are freed to act boldly in transformative ways because they have let go of burdensome resentments and unhealthy self-criticism. Learning the process of forgiveness is vital to personal well-being and the continuation of peace-making in the world. In the waning days of autumn, Sunday morning’s musical selections include a seasonal work by Tchaikovsky, along with brooding, introspective inspirations by Schubert, MacDowell, and Rachmaninoff. Join us to embrace the darkening season through these timeless classics. Read on for program details. When we feed birds, they teach us their language in gratitude. And when we understand them, they feed us. Today we reflected on gratitude and practiced it as we walked through the woods and over creeks. Much gratitude was given for the calm weather, one another, and the abundant birds on the walk. We didn't have a great variety of species (that we could identify) but there were a lot of birds, including flocks of gulls and sparrows flying over that we couldn't identify. There was great delight in the tree full of mourning doves as we pondered that they are the only group of birds (along with pigeons) that take in water through suction, and not through gravity. Please join us for our next bird walk, Sunday, December 21st, 2014 - It's solstice! If there is inclement weather, join one another inside for warm tasty beverages and watching the birds at the feeders. As usual we will have time for reflection and sharing. Since 1972, we have officially been called the “Community Unitarian Church at White Plains." Over the past 20 years, the thought has surfaced and resurfaced numerous times as to whether our current name continues to reflect who we are as a congregation. This fall, our Board of Trustees appointed the What's in a Name? Committee to engage our members in a process for group consideration of our name. The goal of the What's in a Name? Committee is to get input from every single member and friend through this process. We have met with several committees and groups to date and are now ready to schedule small group meetings for members and friends who have not yet had the opportunity to complete a survey on our current name and alternative options. Sunday, February 1st at 11:40 in room 24. Sunday, February 8th, at 11:40 in room 41. THESE MEETINGS WILL NOT TAKE MORE THAN 20 MINUTES as our mission is simply to gather information from you. Child Care will be provided. Grab your coffee and come on over. It is important that you read the short, informative packet that can be accessed through the CUC website -- Or: CLICK HERE -- before completing a survey at one of the meetings. If you are not able to do so, let us know and we will be glad to e-mail you the packet. Hard copies are also available on the welcome table in the lobby. If you have any questions, please contact any one of us on the committee. We look forward to meeting with all of you. Some physical and mental pain is inevitable. I remember being six and slipping on an icy sidewalk in Illinois and landing hard on my tailbone: ouch! Much later, in my fifties, when my mother passed away, there was a different kind of pain. To survive physically, you need a body that tells you it hurts when it's ill or injured. To flourish psychologically and in your relationships, you need a mind that sends different signals of distress—such as loneliness, anger, or fear—if you're rejected, mistreated, or threatened. To use a metaphor from the Buddha, the unavoidable pains of life are its "first darts." We don't throw the first dart -- life throws it at us. But then we add insult to injury with our reactions to these darts. For example, you could react to a headache with anxiety that it might mean a brain tumor, or to being rejected in love with harsh self-criticism. We ourselves throw that second dart -- and we don't have to. Moreover, the "first dart" might not even be a dart at all. It's common to have upsetting reactions when nothing bad has actually happened. For instance, you're flying in an airplane and everything's fine, but you're worried about it crashing. Or you go out on a date and it's fun, but then he/she doesn't call for a day and you feel let down. Most absurdly, sometimes we react negatively to positive events. Perhaps someone complimented you, and you had feelings of unworthiness; or you've been offered an opportunity at work, and you obsess about whether you can handle it; or someone makes a bid for a deeper friendship, and you worry about being disappointing. All these reactions are "second darts"—the ones we throw ourselves. They include overreacting to little things, holding grudges, justifying yourself, drowning in guilt after you've learned the lesson, dwelling on things long past, losing perspective, worrying about stuff you can't control, and mentally rehashing conversations. Second darts vastly outnumber first darts. There you are, on the dartboard of life, bleeding mainly from self-inflicted wounds. There are enough darts in life without adding your own! Accept the inevitability of first darts. They hurt, but pain is the price of living. Try not to get offended by pain—as if it's an affront—or embarrassed about it, as if it's a personal failing. When pain does come, hold it in a large space of awareness. In a traditional metaphor, imagine pouring a big spoon of salt into a cup of water and then drinking it: yuck. Next, imagine stirring that spoonful into a big bowl of clean water and drinking a cup: not so bad now. It's the same amount of salt—the same amount of physical or emotional pain—but now held and diluted in a larger context. Be aware of awareness: it's like the sky—pain passes through it like storm clouds, never tainting or harming awareness itself. See if you can let the pain be without reacting to it; this is a key aspect of an unconditional inner peace. Observe second darts. They're often easier to see when others toss these darts at themselves—and then consider how you throw them at yourself. Gradually bring your recognition of second darts into the present moment, so you can see the inclination to throw them arise—and then catch them if possible before you stab yourself one more time. A second dart will often trigger a cascade of mental reactions, like one boulder rolling down a mountainside setting off others in a chain reaction. To stop the landslide, start by relaxing your body as best you can. This will activate the calming, soothing parasympathetic wing of your nervous system and put the brakes on the fight-or-flight sympathetic wing. Next, try to see more aspects of the situation that's troubled you, and more of your life these days altogether—especially the parts that are going fine. Because of the negativity bias, the brain narrows down and fixates on what's wrong, so you have to nudge it to widen its view to what's right. The bird's-eye, big picture view also deactivates the midline neural networks that do second-dart ruminating, and stimulates circuits on the side of your brain that can let things be as they are without reacting to them. Don't put more logs on the fire. Don't look for more reasons to worry, criticize yourself, or feel mistreated. Don't get mad at yourself for getting mad at yourself! When you throw second darts, you are the person you hurt most. The suffering—mild to severe—in second darts is truly unnecessary. 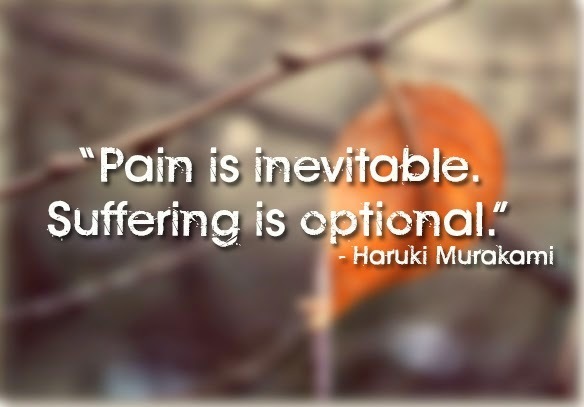 As the saying goes, pain is inevitable, but suffering is optional. List and describe three "first darts" of pain that came your way in the last week. Then describe what "second darts" of reactivity you added to the first darts. How can you stop adding the second darts? Gems of musical Americana, prefaced by a tender expression of gratitude by Unitarian composer Edvard Grieg, highlight our special Thanksgiving service at CUC this Sunday. CUC’s Choir will be on hand as well for this festive occasion. 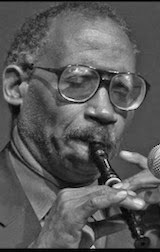 This Sunday, legendary jazz pianist Valerie Capers and bassist/sopranino recorder player John Richardson are our musical guests. Read on for program and biographical information, and please come with your friends to hear Valerie and her trio on Sat Nov 22 at 7pm, at our annual Jazzfest! event. Dr. Valerie Capers was born in the Bronx and received her early schooling at the New York Institute for the Education of the Blind. She went on to obtain both her bachelor's and master's degrees from The Juilliard School of Music. She served on the faculty of the Manhattan School of Music, and from 1987 to 1995 was chair of the Department of Music and Art at Bronx Community College of the City University of New York (CUNY), where she is now professor emerita. Her outstanding work as an educator has been lauded throughout the country as being both innovative and impressive. Susquehanna University awarded her the honorary degree of Doctor of Fine Arts, and Doane College (Crete, Nebraska) and Bloomfield (New Jersey) College (along with Wynton Marsalis) both have awarded her honorary doctorates. Teaching and workshop venues include Doane College, Stanford University, the Cleveland (Ohio) public school system, St. Thomas (United States Virgin Islands) high schools, Brigham Young University (Provo, Utah) and the Mozarteum conservatory, University of Salzburg, Salzburg, Austria. Three of Dr. Capers' most noted extended compositions are Sing About Love, the critically acclaimed Christmas cantata produced by George Wein at Carnegie Hall; Sojourner, an operatorio based on the life of Sojourner Truth, performed and staged by the Opera Ebony Company of New York; and Song of the Seasons, a song cycle for voice, piano and cello (which has been recorded several times) was both commissioned by the Smithsonian Institute and premiered in Washington, D.C., at the invitation of the Smithsonian, and recently performed at Weill Recital Hall in New York City. Dr. Capers has appeared with her trio and ensemble at colleges, universities, jazz festivals, clubs and concert halls throughout the country and internationally, including a series at Weill Recital Hall and at the Rendez-vous de l'Erdre in Nantes, France. Her trio's performances at the International Grande Parade du Jazz Festival in Nice, France, the Martin Luther King Festival in Ottawa, Ontario, and the North Sea Jazz Festival in The Hague received rave reviews. The group has also participated in the Monterey Jazz Festival, the Clifford Brown Jazz Festival (Wilmington, Delaware), Jazz in June (the University of Nebraska-Lincoln), the Mellon Jazz Festival (Philadelphia, Pennsylvania), and New York's Kool, JVC and Downtown jazz festivals. She is also regularly heard in New York City at The Kitano on Park Avenue South and the Knickerbocker in Greenwich Village. As a classical soloist, she has also performed Mozart's "Concerto for Piano & Orchestra, No. 23" at the Pepperdine University Center for the Arts in Malibu, California. Throughout her career, Dr. Capers has appeared on numerous radio and television programs, including two appearances on Marian McPartland's Piano Jazz and Branford Marsalis' JazzSet. Adventures of Wagner in Jazz, a special program created by National Public Radio (NPR), and About Music (two separate programs, "Traditions and Personalities in Jazz Piano" and "American Composer and Piano Virtuoso: Louis Moreau Gottschalk") were all broadcast on KBYU-FM in Provo, Utah, and carried throughout the country on NPR. 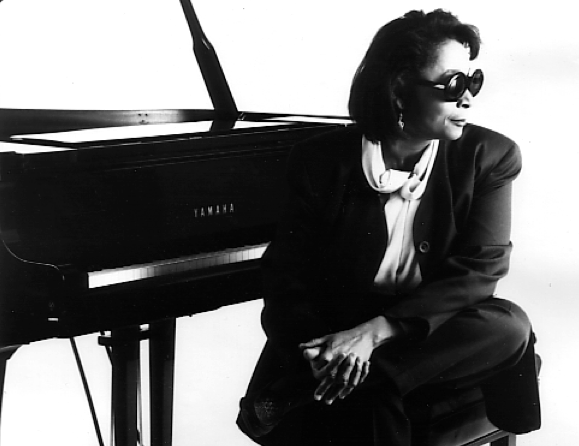 Throughout her career, she has performed with a roster of outstanding artists, including Dizzy Gillespie, Wynton Marsalis, Ray Brown, Mongo Santamaria, Tito Puente, Slide Hampton, Max Roach, James Moody, Paquito D'Rivera and Jerry Weldon, among others. Valerie Capers was the first recipient of Essence magazine's "Women of Essence Award for Music," where she was in the elite company of fellow honorees Oprah Winfrey and Marla Gibbs. Dr. Capers’ recordings include: Portrait of Soul (Atlantic), Affirmation (KMA Arts), Come On Home (Columbia/Sony) Wagner Takes the 'A' Train (Elysium), and Limited Edition (VALCAP Records). Her book of intermediate-level piano pieces, Portraits in Jazz, was published by Oxford University Press (OUP). OUP has also published an arrangement by Dr. Capers of the English carol, "It Came upon the Midnight Clear" (lyrics by the American Unitarian, Rev. Edmund Hamilton Sears) for mixed chorus a cappella. SLOGANS TO LIVE BY: Practices for everyone to keep in mind and pay attention to. These practices don't require setting aside a separate substantial chunk of time. Just have the intention to grow stronger in these areas as you go about your day, and sometimes make one of them the focus of your daily journaling. The titles of these practices are guidelines to live by. As long as you've lived, your experiences have sifted down in your psyche, forming layers like the bands of colored rock in the Grand Canyon. The most fundamental layers were laid down in your childhood, when your brain was most impressionable. Because of experience-dependent neuroplasticity, the things you felt, wanted, or believed as a child have been woven into your nervous system. For example, crying as an infant until someone came, joy at beginning to walk, fun with friends, feeling bad about yourself when scolded about schoolwork, power struggles with parents, wanting your body to be bigger/smaller/different in high school, wondering if anyone will like the real you, the bittersweet excitement of leaving home—whatever your own childhood was, experiences like these have sunk in to you and travel with you every day wherever you go. Taken as a whole, these residues make up your inner child—which is not a silly cliche, but actually a large-scale system embedded in your brain that continually and powerfully influences your mood, sense of worth, expectations, and reactions. This child inside is at the core of who you are. If you are embarrassed, ashamed, critical, controlling, squelching, pushy, or angry about this child, that will affect how you feel and how you act. Therefore, accepting the child parts within you, guiding them gently, and soaking your inner kid in cherishing nurturance will heal and feed the deepest layers of your psyche. 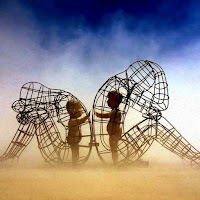 This inner child stuff can get conceptual, superficial, or merely sentimental. Instead, bring it down to the bone. Most childhoods are rocky, one way or another. As a kid, you probably felt hurt, were disappointed, felt like a loser, wanted recognition and love you didn't get, shelved some big dreams, and made decisions about yourself and life with the "logic" of a child. This is real. It had real effects. And you have a real chance today to be the strong, wise, and loving friend, coach, and yes, parent that you've always longed for. Open to feeling cared about by someone. Next, move to feeling caring toward a friend, family member, or pet. Marinate in this sense of interest, support, and nurturance; let it fill your heart and mind. Then, staying grounded in the experience of caring, shift the target of this caring to yourself, especially yourself as a child. Now, reflect back on your childhood as a whole, starting with your earliest memories. Stay with your experience of it, not the story line about it. What did it feel like to be a young child? To be in grade school? In high school? What were your happiest times? And most upsetting? What went well for you in your childhood—and badly? When did you feel really understood and supported—and not? What in you flourished in childhood—and what got bruised or wounded? What sort of kid were you—especially deep down? When did the best parts of you come out? What's become of them? As much as you can, try to hold a sense of caring toward yourself while you engage these questions. Stay with your actual experience as a child, not critiquing it or justifying it, and definitely not shaming yourself for it. The vulnerable child inside everyone usually expects rejection, so it's afraid to show its teary, sniffly, snotty, whiny, needy, frightened, or angry face. Please don't push this child away. It wants to show itself but is afraid to. Make it safe for it to show itself to you. Look for ways to bring the child inside you out to play. For example, my friend Leslie told me about moving to Wyoming and wandering in its extraordinary wilderness like a big kid, not trying to accomplish anything, feeling free and delighted. Take different routes to work; pick up (or return to) gardening, crafts, art, music, or a sport; quit being so darned serious and significant (this one's for me, too); goof off; play with your own kids; make messes; ask your inner child what he or she really wants to do. Don't be so constrained by routines and presumed limitations; remember what it felt like to be a kid on the first day of summer vacation; in the same way, the whole rest of your life stretches out before you: have fun with it! Accept that you will never have a better childhood. Yes, assert yourself skillfully to get appropriate caring in your relationships. But also know the hard truth that it's on you, no one else, to be the main advocate, cheerleader, protector, and nurturer of the child inside—and the adult that kid has become. Keep both of them close to your heart. What do you remember from your childhood as significant times you felt hurt, disappointed, or like a loser? When did you want recognition and love you didn't get? Did you shelve some big dreams? How are those experiences still with you today? Category: Slogans to Live By: Practices for everyone to keep in mind and pay attention to. These practices don't require setting aside a separate substantial chunk of time. Just have the intention to grow stronger in these areas as you go about your day, and sometimes make one of them the focus of your daily journaling. The titles of these practices are guidelines to live by. 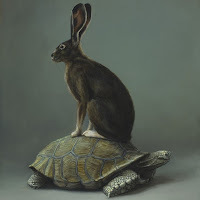 As hominids and early humans evolved over several million years while living in small bands, they developed a range of temperaments, with cautious, focused "turtles" at one end and adventurous, impulsive "jackrabbits" at the other end, with "tweeners" in the middle. 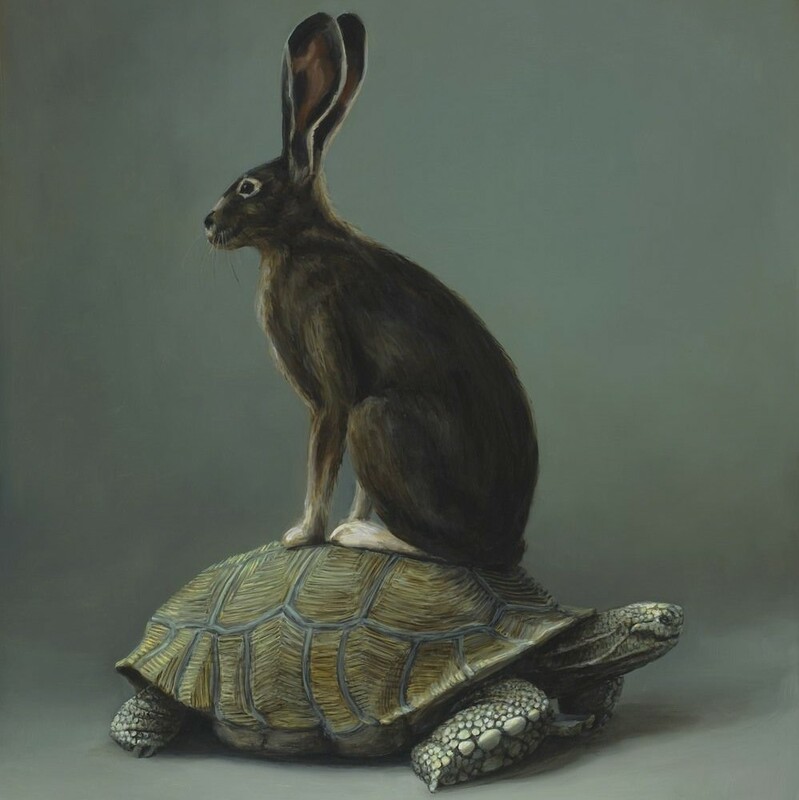 Those bands that had a mixture of turtles, tweeners, and jackrabbits could adapt to changing conditions and outcompete bands that had just one type of temperament—the way a basketball team with nimble guards plus big forwards would beat teams with only guards or only forwards. Sociability—Some people are really extroverted, some are really introverted, and many are in the middle. In a general sense, with lots of exceptions in the details, extroverts are fed by social contact and drained by isolation; introverts are the opposite. Emotional inclinations—The ancient Greek model of the four personality types—sanguine (cheerful), choleric (prone to irritation), melancholic (tends to sadness), and phlegmatic (hard to move emotionally)—has at least a grain of truth to it. Temperamental characteristics are innate, hard-wired into your DNA and thus your brain. Of course, they're just some of the tiles that make up the mosaic you are. Plus they're only tendencies whose expression is shaped by other parts of you (e.g., intelligence, warmheartedness), life experiences, and conscious intention. For example, I'm introverted but also love deep conversations (a typical therapist); so after a day of being with people, I get refueled by some time alone: reading, going for a run, and the like. Similarly, a person with a bit of a blue streak (i.e., melancholic) can internalize a soothing, encouraging sense of being cared about by others. Temperament is not destiny. in a couple, things will go better if they find ways to give an introvert (like me) enough "cave" time and an extrovert (like my wife) enough connection, but worse if they don't. When the fit between your temperament and an environment is not good, it's hard to function at your best—whether it was in school as a kid, or in an intimate relationship or at work today. Additionally, it's natural to feel at some level that there must be something wrong/weak/dumb/missing about you—which gets reinforced by any messages from the environment that, yep, the problem is with you, not it. For example, a high degree of jackrabbititis now has its very own diagnosis—attention deficit/hyperactivity disorder (ADHD)—even though being jack rabbity has been wonderfully adaptive throughout most of the time humans and our hominid ancestors have lived on this planet. Further, people who are naturally wistful get told to cheer up and stop being mopey, introverts get told to go out and meet people, and turtles get told to stop being such sissies and jump into the deep end of the pool. This repeated sense that there's something not-right, not-optimal about oneself gradually sinks in and wears on a person's confidence, mood, and sense of worth. But really, there's nothing wrong at all! We should each honor our temperament: accept it, see the things that are great about it, look for situations and relationships that play to its strengths, and take care of it when it's challenged (e.g., help a turtlish child get ready for anxiety-provoking transitions). In other words, work with nature, not against it. Distractible, impulsive, and stimulation-seeking? Or highly focused, judicious, and cautious? Interested in lots of social contact? Or in just a few good friends and considerable alone time? Cheerful, melancholic, easily irritated, or placid? Think back on your childhood: did your temperament and your environments collide with each other significantly, leading either to criticism of you or simply a frustration inside that you couldn't be more successful academically or socially? As you consider this question, be kind to yourself. Remember that in childhood, it's the job of parents and teachers—who have many more options than kids do—to adapt environments as much as is possible and reasonable to the temperament of the child. Then consider the fit between you as an adult and your environments. What are the strengths of your temperament? For example, people who are quick to anger are often quick to see injustice; children who are anxious are usually very conscientious; introverts have rich inner lives. What inclinations in your nature have been longing for more expression? Then consider the sorts of environments—such as occupations, romantic partners, settings, or schedules—that would support and draw on the strengths of your temperament. What could you do that's appropriate and skillful to nudge your current environments to play more to your strengths—or to get yourself into more suitable environments? What are the needs or vulnerabilities in your temperament? For example, a spirited person needs a good deal of stimulation or life starts feeling like a thin soup; an extrovert needs a job with lots of interaction; a melancholic person is susceptible to feeling let down. Consider how you could address your needs and protect your vulnerabilities. For instance, if you're somewhat anxious by nature (I'd put myself in that boat), it's especially important to do what you can to create structure, predictability, and trust in your home and work. Throughout these reflections, know that any issues have probably not been located in you or in your environments, but in the fit between you and them. Regarding yourself, have compassion for any stress or pain you may have experienced; appreciate the endurance and strength you've had in the times when you were the proverbial square peg in a round hole; challenge the expectations and other beliefs you've developed in collisions with your environments, such as a sense of inadequacy. Regarding your environments, consider them more as impersonal forces that may have been not good for you in some ways—while probably being suitable for at least some people—than as something inherently wrong or bad; consider if any forgiveness would be helpful to you here. Last, appreciate the fact that no one has a perfect temperament. We're all pretty funky variations on the basic human model. Being able to see the humor in your temperament softens its edges and eases your interactions. For example, once as I was doing therapy, I squared my pad of paper to the edges of a small table. With a smile, my client teased me by reaching over to nudge the pad so it was now askew. We both laughed at my OCD-ish tendencies, which I'd disclosed in talking about her own. And then I squared the pad again because it bugged me so much! 1. How would you describe your temperament? Try taking the personality-type test HERE. Do the results seem to accurately characterize you? 2. Describe a time when circumstances were difficult for you, and it seemed to you that a different temperament would have had an easier time. 3. List ways it is advantageous to the world (to society, to your workplace, to your congregation) to include people of your temperament? 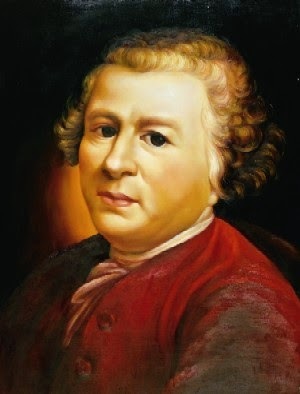 Sunday morning’s musical selections highlight the tricentennial of the birth of Christophe Willibald Glück, the composer credited with bringing a new level of realism to musical drama in his operas. 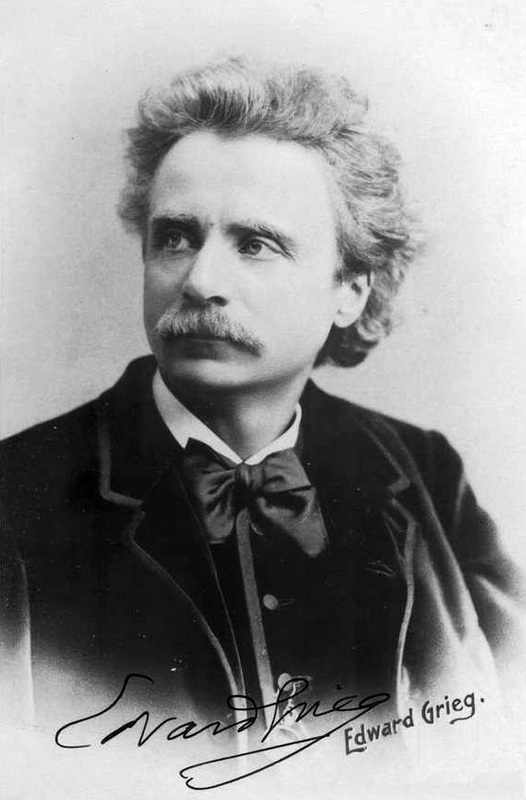 Although Glück did not compose for solo piano, his operatic airs and dance interludes provided great fodder for the musical imaginations of Mozart, Brahms, and Hans von Bülow. Offertory music is Frederic Chopin’s celebrated “Raindrop Prelude”, a work which contrasts serene lyricism with unsettled turbulence. The concluding tranquil mood following an agitated central episode may call to mind our monthly theme of forgiveness.